A fascinating dialogue on the human inclination to make up stories between a Nobel Prize-wining writer and a psychotherapist. 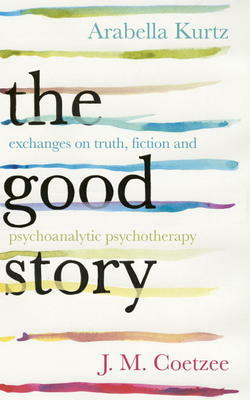 The Good Story is an exchange between a great writer with a long-standing interest in human psychology and a distinguished psychotherapist who has long been passionate about literature. Arabella Kurtz and J.M. Coetzee consider psychotherapy and its wider social context from different perspectives, but at the heart of both their approaches are language and story. Working alone, the writer is in sole charge of the story he or she tells. The therapist collaborates with the patient on the story of their life. Are they seeking an absolute truth or a fiction that will help the patient to overcome their distress? The authors discuss both individual psychology and the psychology of the group: the school classroom, the gang, the settler nation where the brutal deeds of the ancestors several generations back have to be accommodated into the national story. They draw on the work of great writers like Cervantes and Dostoevsky as well as canonical writers on psychoanalysis such as Freud and Melanie Klein. Their discussion provides an illuminating insight into the stories we tell of our lives. J. M. COETZEE's work includes Waiting For the Barbarians, Life & Times of Michael K, Boyhood, Youth, Disgrace and Diary of a Bad Year. He was the first author to win the Booker Prize twice and was awarded the Nobel Prize for Literature in 2003. ARABELLA KURTZ is a Senior Clinical Tutor and an Honorary Senior Lecturer on the clinical psychology course at Leicester University. She is currently training as a psychoanalytic psychotherapist and does psychotherapeutic work with adults in local NHS services.